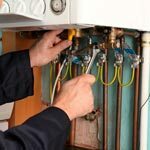 Repairs, maintenance and replacements for your heating and air conditioning systems. "The installer, Jonathan, even fixed a problem that had..."
Are you looking for a local company to help you solve your interior or exterior home improvement needs? New Age Contractors is a full service contractor providing services ranging from crawl space repair to roofing, remodeling to disaster restoration, and much more. We've been helping homeowners solve their home improvement problems since 2009, and we can help you get the right services for your needs. We pride ourselves on providing quality craftsmanship and excellent customer service, ensuring you're completely satisfied with the work that's completed on your home. If you're interested in any of our home improvement services, give us a call today or contact us online to get started. We offer free estimates on all our work in Charleston, Summerville, Mount Pleasant and throughout the surrounding areas. Crawl spaces are one of the major problem areas in many homes, and mold growth, water damage, and structural issues are all very common. At New Age Contractors, we specialize in repairing damaged crawl spaces and creating a healthy space in your home. 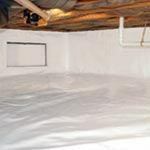 Our crawl space encapsulation system seals your crawl space off from the outside, eliminating the humid air that leads to condensation and mold growth. Our crawl space drainage systems and sump pumps will ensure that your crawl space stays dry all the time. 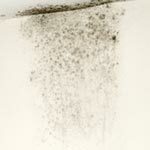 By completing these upgrades, you can eliminate mold growth and help improve your home's energy efficiency. If your home ever has a problem, New Age Contractors is here with the right solution. We offer complete plumbing, heating, cooling, and disaster restoration services to ensure that your home is always functioning correctly and protected from further damage. Whether you need repairs, replacement, or new installation we can help. 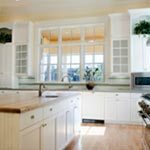 We also offer full scale remodeling services for homeowners looking to upgrade their home. With kitchen remodeling, bathroom remodeling, flooring, and addition services, we can help you transform your house into your dream home. 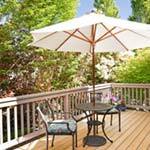 Keeping your home's exterior looking great is a top priority for many homeowners. If your home has been damaged by weather or simply doesn't have the curb appeal you want, we can help. We offer roof repair and replacement, siding installation, replacement windows and doors, and gutter installation. 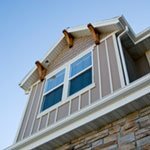 All of these services will improve your home's durability and appearance, raising your property value. We can also help you transform your property with fencing, deck installation, and masonry services. Whether you want to create a deck or patio to relax on, improve your home's front entrance, fence in your yard, or make any other improvements, we have quality products and craftsmanship to bring your vision to life. No matter what interior or exterior home improvement projects you want to complete, New Age Contractors is here to help. Our experienced professionals will help you find the right products and services for your needs and provide you with a high quality installation every time. Give us a call at 1-844-676-4349 or contact us online to start your next home improvement project with a free estimate. We proudly offer all our services in Charleston, Summerville, Mount Pleasant, Goose Creek, Ladson, Johns Island, Beaufort, Moncks Corner, North Charleston, Hanahan and throughout the surrounding areas.